Movies.com > Movie News > The Geek Beat: Will 2015 Be the Geekiest Movie Year of All Time? 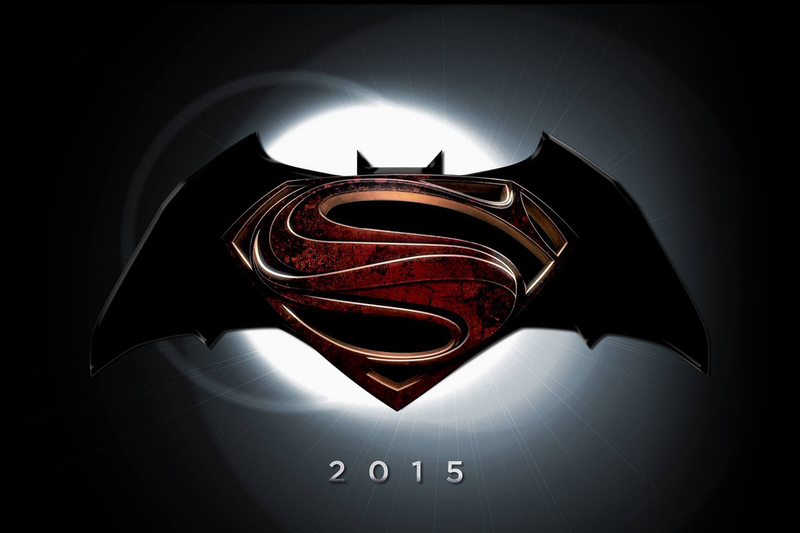 The Geek Beat: Will 2015 Be the Geekiest Movie Year of All Time? With the end of this year approaching, critics and cinephiles alike are already beginning to examine the 2014 movie-release schedule with an eye toward the next batch of potential box office hits. And while there are certainly a few blockbusters on the horizon (The Hobbit: There and Back Again and The Hunger Games: Mockingjay, Part 1 come to mind), a quick peek ahead in the calendar makes one fact abundantly clear: next year's slate of movies is just a precursor to what's likely to be the biggest year ever for geek-friendly movies. Yes, I'm well aware that 2012 was a pretty big year for big-screen geekery. The Dark Knight Rises and The Avengers broke all sorts of records while The Hunger Games kicked off one massive, young-adult franchise and The Twilight Saga: Breaking Dawn, Part 2 concluded another. Even so, last year's box office could end up seeming like a drop in the bucket compared to the tsunami of geek-friendly films crashing into theaters 13 months from now. The Avengers: Age of Ultron (May 2015) – It's the sequel to the film with the highest grossing opening weekend of all time and the fastest movie to earn $500 million in Hollywood history. Honestly, Age of Ultron won't surprise anyone if it breaks all of the records set by The Avengers when it premieres in May 2015. Nearly every installment of the studio's cinematic universe has managed to raise the bars for both box office success and fan adoration, and unlike its predecessor, Age of Ultron won't suffer from any prerelease uncertainty about whether Marvel can pull off a team-up movie featuring all of its solo acts together on one screen. Sure, there are films people are talking about just as much (if not more) right now, but has there ever been a sequel that's generated higher expectations this far in advance of its premiere? Batman vs. Superman (July 2015) – If there's any superhero-related project capable of matching the hype for The Avengers sequel, it's the follow-up to Man of Steel. While the recent Superman reboot didn't leap over any tall, box office records this year, it did manage to make itself the highest grossing film in the franchise. More importantly, though, it set the stage for one of the most anticipated big-screen crossovers of all time in its sequel, the simple but effectively titled Batman vs. Superman. By not only bringing together two of the most popular comic book characters the world over, but also invoking one of the most popular comic book stories ever written (The Dark Knight Returns) when announcing the project at this year's San Diego Comic-Con, Warner Bros. has made it clear that it's going all in with this project. This is the make-or-break moment for the studio's comics-to-movie initiative. Basically, if this film doesn't break every record a film can possibly break at the box office, it will be considered a disappointment. No pressure. Star Wars: Episode VII (December 2015) – There's really no need to explain why this film is such a big – rather, super-ginormous – deal, but let's review the facts anyways. Not only is it the first, live-action Star Wars movie to be made in 10 years, but it's also the first chapter in a brand new trilogy of films. Behind the camera, it's being directed by one of the most celebrated, geek-friendly filmmakers in the business right now, fresh off his success rebooting Star Trek, the only other sci-fi franchise on the same level as George Lucas' universe. Add in the reported presence of returning cast members like Harrison Ford and Mark Hamill – and more importantly, their characters – as well as all the talk of where the Star Wars universe is headed after this film grabs the spotlight, and you've got a premiere that's likely to be one of the biggest entertainment events of the entire year, if not the entire decade. This is Star Wars, people. Star. Wars. Assassin's Creed (June 2015) and Warcraft (December 2015) – No big deal here, these films are only based on two of the biggest game franchises of the last 10 years or so. And by “biggest,” we're talking billions of dollars in sales and the sort of revenue that makes even the most successful Hollywood blockbusters seem like modest money earners. “But they're video game movies,” you say. “They're always terrible.” Well, if any video game movies are going to bust that trend, it will be these films. Along with snagging Michael Fassbender, one of hottest leading men in Hollywood right now, as star and producer, Assassin's Creed developer Ubisoft created its own moviemaking production company in order to ensure that its flagship title doesn't go the way of forgettable video game movies of the past. Put it all together and the equation looks something like this: (Huge Game) + (Wildly Popular Actor) x (Massive Financial and Creative Investment) = The Perfect Storm of Blockbusters. Meanwhile, Warcraft hits theaters under the direction of one of Hollywood's most celebrated young – and already impressively geek-friendly – filmmakers, Moon director Duncan Jones. That's all well and good, but the most important thing here is that this is a live-action, big-budget Warcraft movie. This is the game that brought multiplayer online role-playing games into mainstream culture, and boasted more than 10 million subscribers just a few years ago. It's a game that featured commercials starring William Shatner, Mr. T, Ozzy Osbourne and even Chuck Norris. So, yeah, it's pretty safe to say this film has a little more buzz behind it than the average video game. Heck, there's an argument to be made that it's the biggest video game movie ever made. And here's the real kicker: those are just five of the geek-friendly films arriving in theaters over the course of the year. It's not a stretch to say that any year that includes all of the aforementioned films and nothing else would still be one of the biggest years for superhero, sci-fi and other geek-oriented genre projects, but 2015 doesn't stop there. There's also the third installment of The Hunger Games franchise (which might not qualify as “geek fare” to everyone, but anyone who's read the novels knows better), as well as the reboot of The Fantastic Four franchise, which doesn't fall under the Marvel movie-verse banner but taps into that same, deep pool of comics fandom that made the X-Men franchise so successful. And Age of Ultron isn't the only 2015 film rooted in Marvel's cinematic universe, either. The long-awaited Ant-Man movie from Shaun of the Dead director Edgar Wright (a nerd celebrity in his own right) also premieres in July (just two months after Age of Ultron). If it follows the trend established by the previous introductory installments of Marvel's solo films, there's the potential for yet another blockbuster there, too. What's really amazing, though, is the fact that 2015 films like Jurassic World (which adds another chapter to the wildly successful Jurassic Park franchise), a new James Bond movie, and Terminator (the next installment of the robo-pocalyptic franchise) would likely be the highest profile projects of the year if it weren't for everything else hitting theaters over the course of those 12 months. As it is, the combination of all of these movies arriving in theaters during a single year makes for the most impressive 12-month lineup I can remember – and the notably nerd-tastic theme to all of these films makes it a particularly great time to be a geek. From Age of Ultron to Star Wars, 2015 is shaping up to be a yearlong movie marathon for all of us geeks, and the only question is whether it will be a big year for the projects we're excited about or the biggest year. Fortunately, we have an entire year to prepare for the impending flood of geekery hitting our shores... and to put aside money for all those movie tickets.